You rush out the door to drop your kids off at school, or to run an errand, only to return and find that your pet has ‘done it’. Now you have to deal with a smelly stain on your mattress, carpet, or cushions. Pet dander is “dead skin” that has flaked off of the body and embeds into carpeting, upholstery, mattresses and clothing. Pet hair and dander is the cause of the majority of allergic reactions. Pet odors in your home are usually due to the natural oils on your pet’s skin and fur transferring onto your carpeting and upholstery. Pet dander also plays a role in the ‘pet smell.’ Many pet owners do not realize that their home has a ‘dog smell’ or a ‘cat smell’ because the odors build up over time. Unfortunately, guests can almost always detect those tell-tale pet odors. No matter how often you clean, pet odors will sink into your carpeting. Pure Clean can help. Our specially designed pet odor and stain removal cleaning program is tailored to remove pet odor sources and keep your home smelling fresh and clean. WHY ARE MY CARPETS SO DIRTY? Dogs and cats alike love to be outdoors. Whether they are digging in the yard, running in the park, or stalking birds and mice through the bushes, pets get dirty. Once it is time to come back inside, they bring this dirt right along with them. Traffic lanes in the home become more and more dingy as the dirt and oils from your pet brush off onto your carpeting and upholstery. You’ll notice pet-sized stains and spots showing up in their favorite areas of your home. At Pure Clean, we know all the tricks to removing pet stains and spots with our 100% safe and effective carpet & rug cleaning techniques. 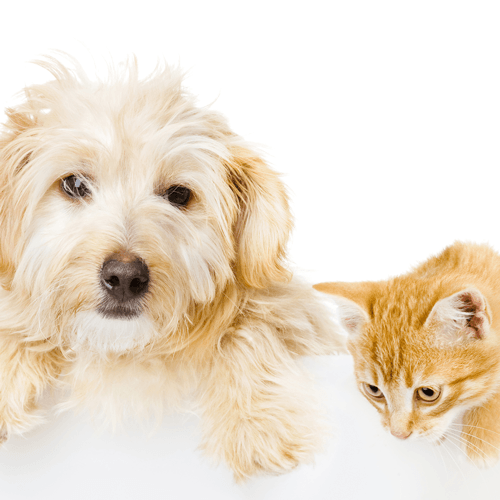 At Pure Clean, we offer four options for our pet stains and odor removal services. This allows us to tailor our pet urine and odor removal services to suit your needs. After all, like pets, not every stain is alike. Sometimes, pet urine decontamination may require more than just a top cleaning of the carpet fibers. There are many layers that can be affected. The following options are based on the severity of the pet urine and odor severity. Please remember that pet urine stain removal and pet odor removal services are not the same. Removal of urine spots MAY NOT fully remove the associated odor. At times, the cleaning treatments may temporarily worsen the odor. Not all treatments can be guaranteed to completely remove the odor. Urine decontamination often requires more than just a top cleaning of the carpet. There are many surfaces and layers that can be affected. Please note that when cleaning urine spots, there is a difference between cleaning the urine stain and treating for urine odor. Cleaning existing urine spots may not remove the associated odor. In fact, it could INCREASE the odor in the air space, at least temporarily. Here are some options depending on the severity. Not all treatments can be guaranteed to completely remove the odor. Let us explain your choices for removal and your expectations of what the results should be. The pet has had an occasional accident. In these cases, the carpet or rug backing and padding usually has not been saturated and may be acceptably surface cleaned. Next, an appropriate pretreatment is sprayed on the top of the carpet. We treat the spots as well as the whole room since pets track their mess onto other areas of the carpet or rug. The pet has repeatedly contaminated the same spot. The carpet and pad are contaminated with urine. Although this treatment is a valiant attempt, it is NOT guaranteed to eliminate the odor. It is however often successful, and when it is it avoids the inconvenience of pulling the carpet up. Next, from the topside of the carpet we saturate a special cleaning solution on the urine stains, which penetrates into the carpet and padding below it to reach the source of the odor. Finally, we thoroughly clean, rinse and extract the urine with our powerful truck-mounted cleaning equipment. 3-Heavy Contamination: Sub-Surface Extraction, Pad Replacement & Odor Barrier Treatment. The pet has repeatedly contaminated the same spot. The carpet, pad and sub surface are all thoroughly contaminated with urine. Extract the cleaning solution from the carpet with our powerful truck-mounted cleaning equipment. Depending on the condition of the carpet and the severity of the urine contamination, it may be wise to consider replacement of carpet and pad. Keep in mind, the sub floor and any affected walls or baseboards must still be properly cleaned and sealed in order to remove the odor.